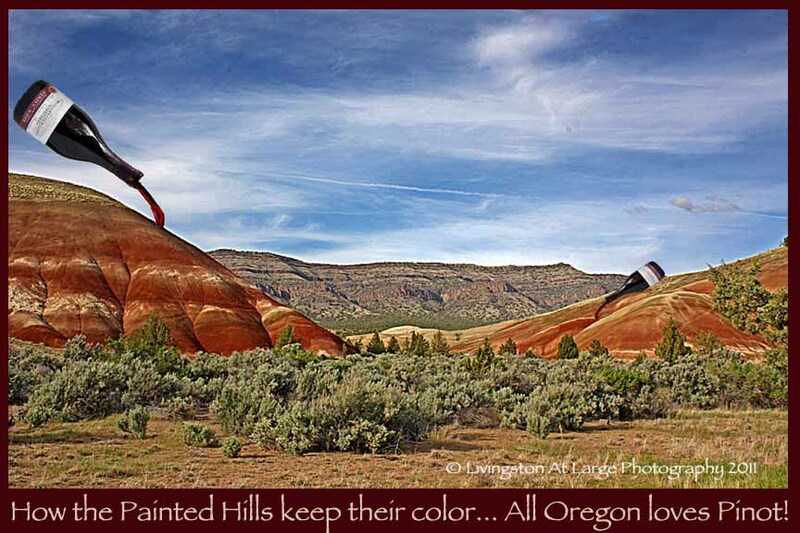 People come from all over the world to photograph the Painted Hills of Oregon. I personally have taken people out there from four different countries. 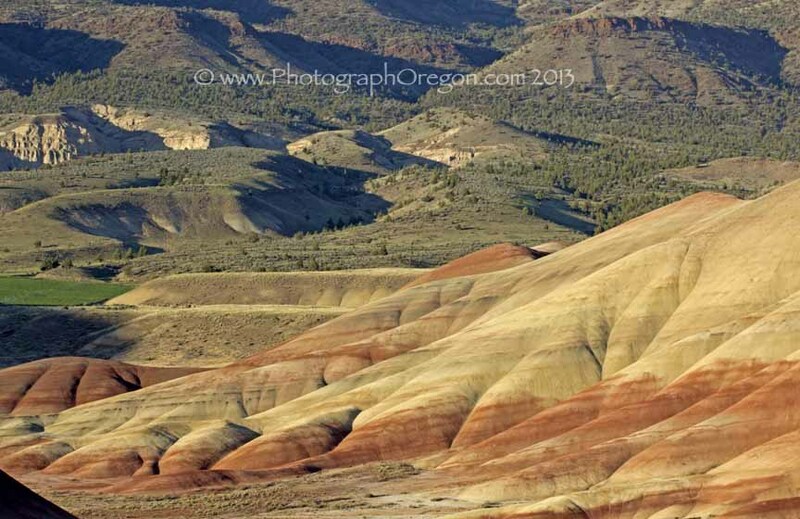 Located nine miles northwest of the ghost town of Mitchell, Oregon, and 75 miles east of Bend, Oregon, this beautiful and unusual area has stunning colorful hills and valleys that were formed through various geological eras, when the area was an ancient river floodplain. Supposedly they are best photographed late in the afternoon, but I have found that some of the best areas start to shade about then and you lose some color. They are very suitable for HDR photography! Give yourself a few hours before sunset and then stay through sunset. If you really have time. Stay and do some night star photography! You can catch the great color off the Overlook Trail (½ mile) which is tied with the Painted Cove Trail (¼ mile) as the easiest. The Painted Cove Trail is a boardwalk and wheel chair friendly. The textures are very up close on this trail. I use them a lot for stock photography. 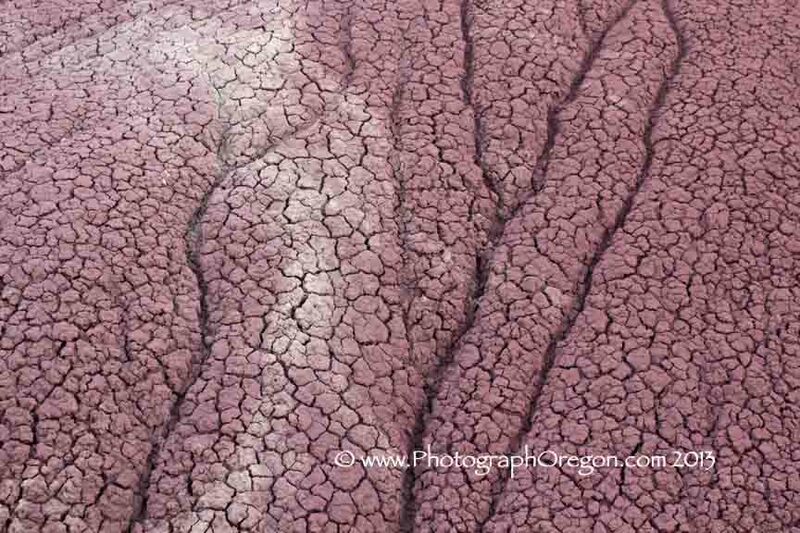 This red clay changes to a pale pink when there has been a lot of rain. I also have seen really great images with snow. That's high on my list to capture. During the early summer (commonly known here as “spring”) the wildflowers add another dimension to the landscape. One time I did a little contest for Willamette Valley Vineyards and this was my entry. 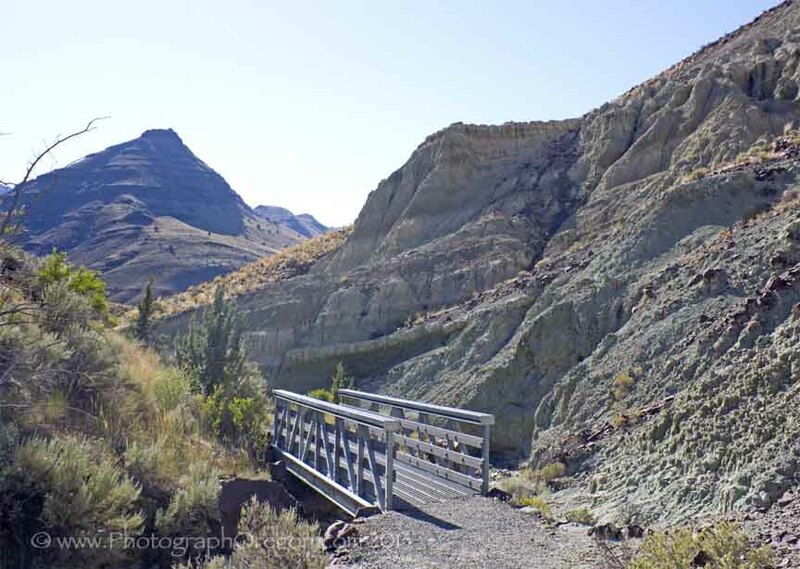 Located in the Sheep Rock Unit up the road and across from the Thomas Condon Paleontology Center (commonly referred to as the “Dino museum”) is the Blue Basin. This area has more blue and gray colors. All along the trail there are exhibits of fossils found in place. The trails here are easy. You cross several bridges as you go down the valley. It was 92 degrees the day we went and we survived. There is another trail that goes up the hill. 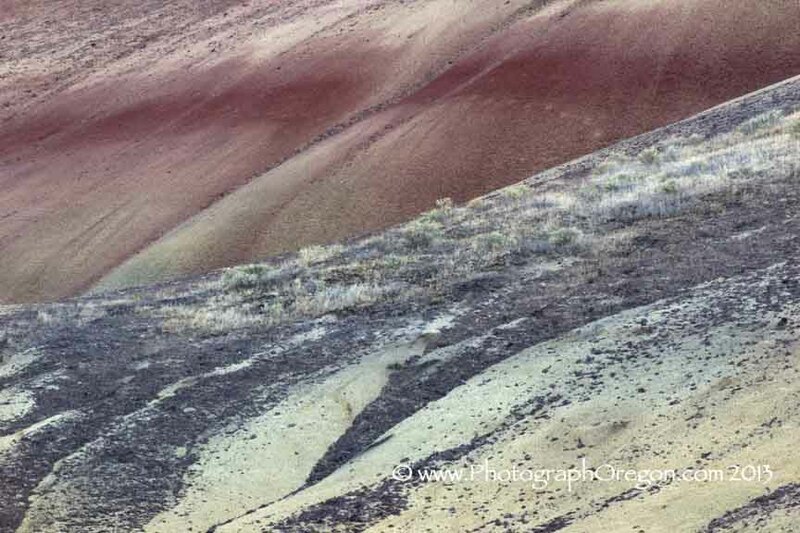 It takes about an hour to do that one and we were short on time as our original goal was sunset at the painted hills. I have heard it is well worth the trip up there for the views. 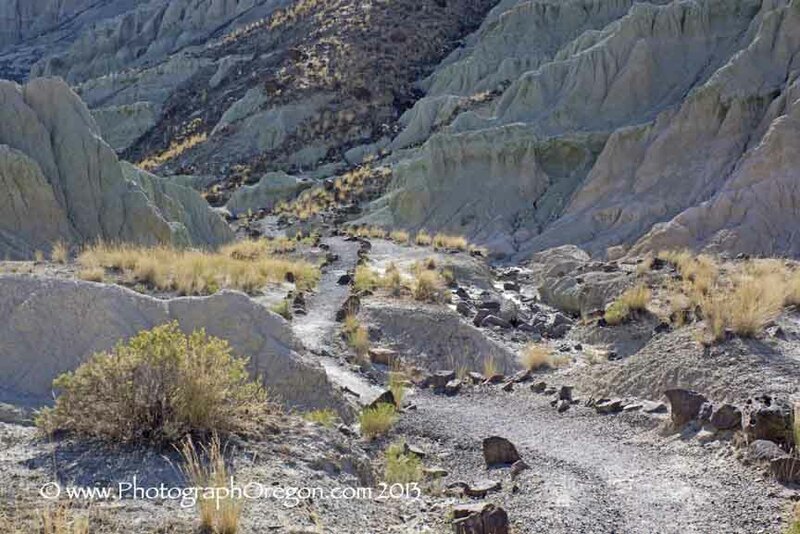 Occasionally there are Ranger guided photo hikes in the Blue Basin. These hikes are the only way to go to areas that are normally off limits. Space is limited. 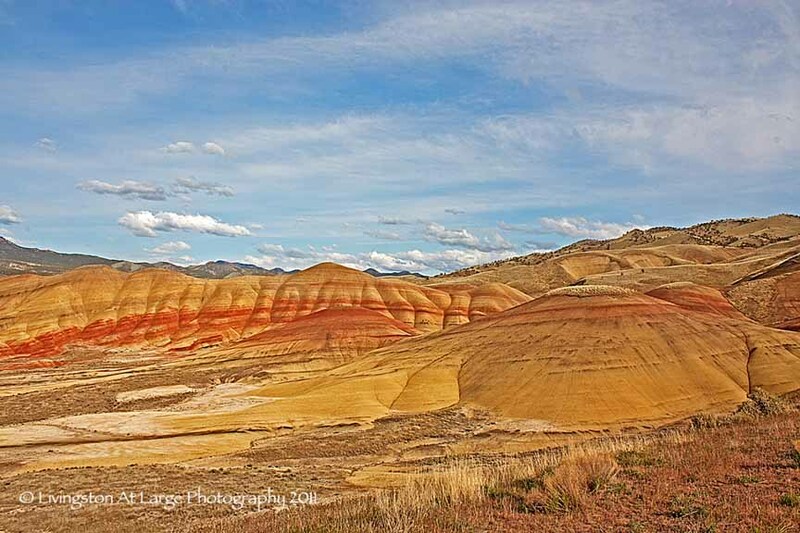 For more information and to make reservations, call the Painted Hills Ranger at (541)-987-2333 x 1240. 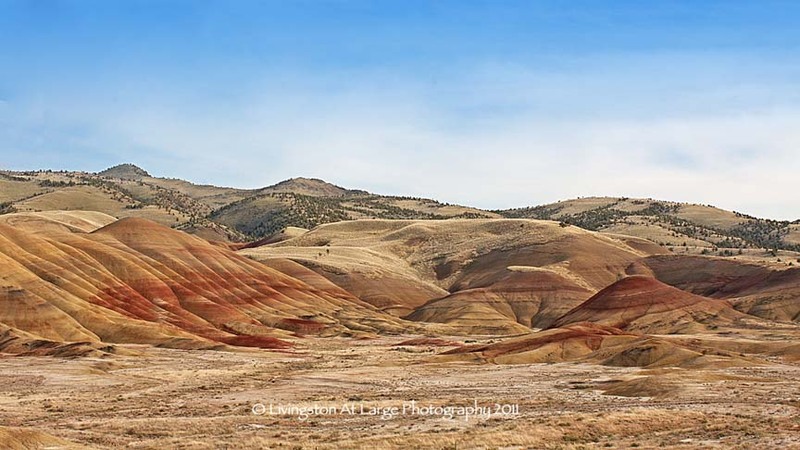 If you are heading out to the Painted Hills, plan to make it a full day. Over near the Blue Basin are several Oregon points of interest. The Thomas Condon Paleontology Center (Dino museum) is free and if you have kids, not to be missed. Across from that is the Cant Ranch. 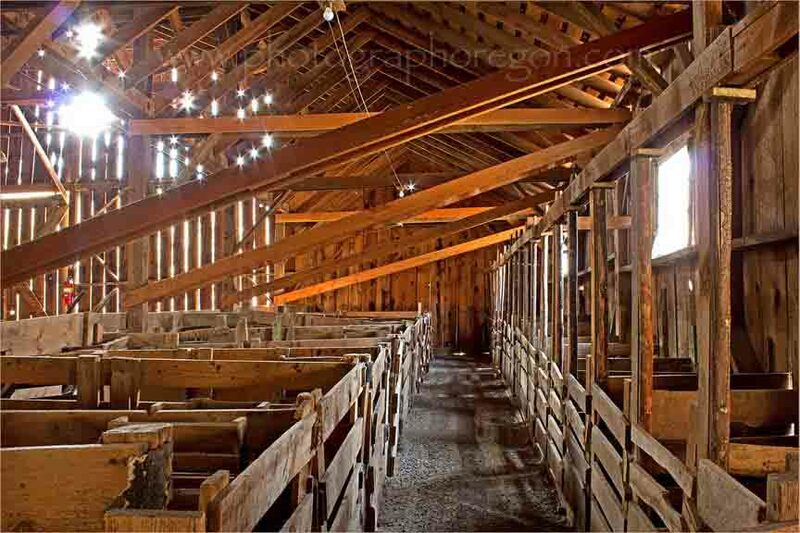 The barn alone is worth going over there. (Also free). 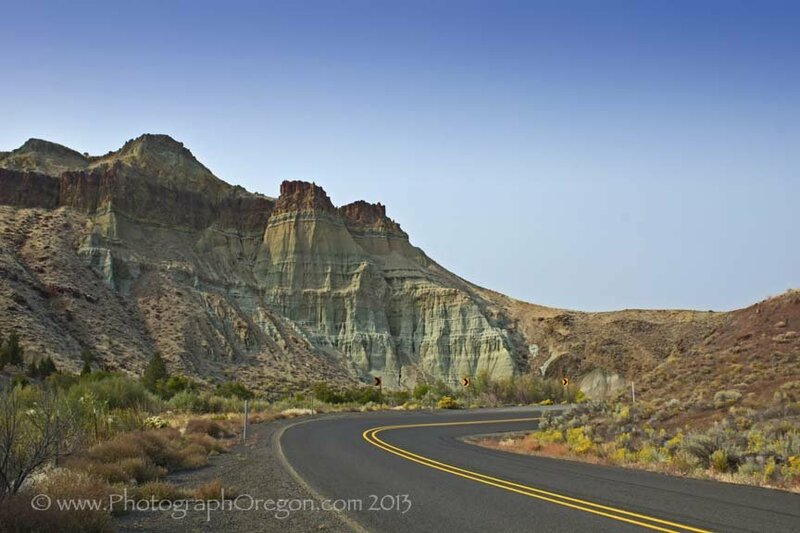 As you are coming out the other way you pass through Picture Gorge. 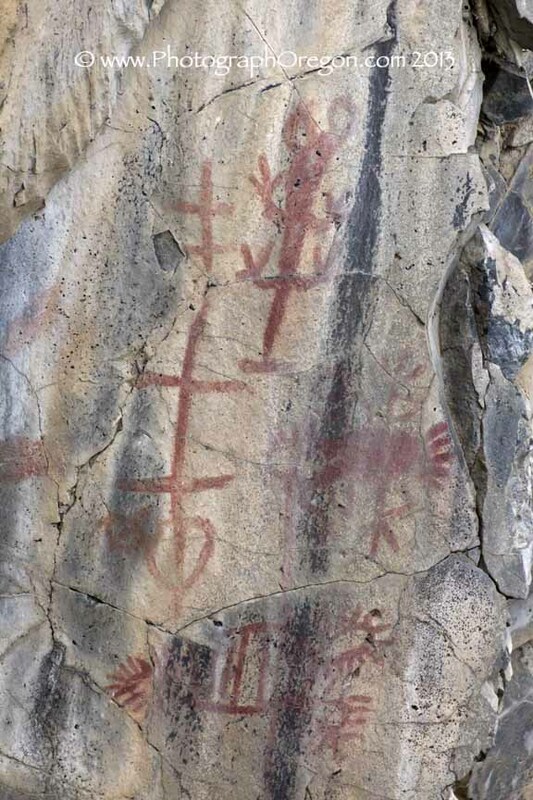 I learned the other day that it is called that because there are nice samples of Native American pictographs all along the gorge. It says "No Stopping" but, there are turn outs and that is where the pictographs are. Why are there turn outs if you cannot stop? At the very end on the left (which I presume is the east side) there is a parking area. If you go out and look up the river on YOUR side, so you have to lean out BE CAREFUL. You can see this awesome panel on the rocks. 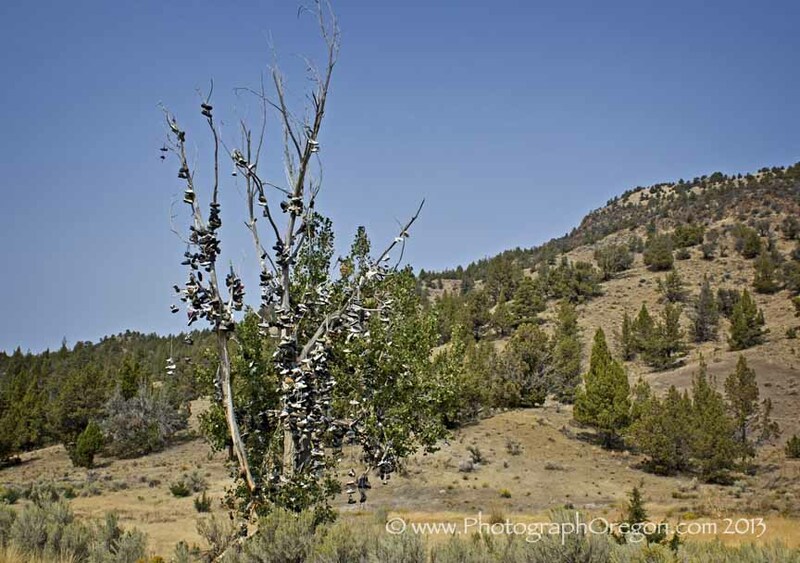 If you are coming from Bend, one of the oldest shoe trees in the state is off the highway. Shoe trees are an Oregon oddity soon to be found in the Oregon Odd Stuff section. 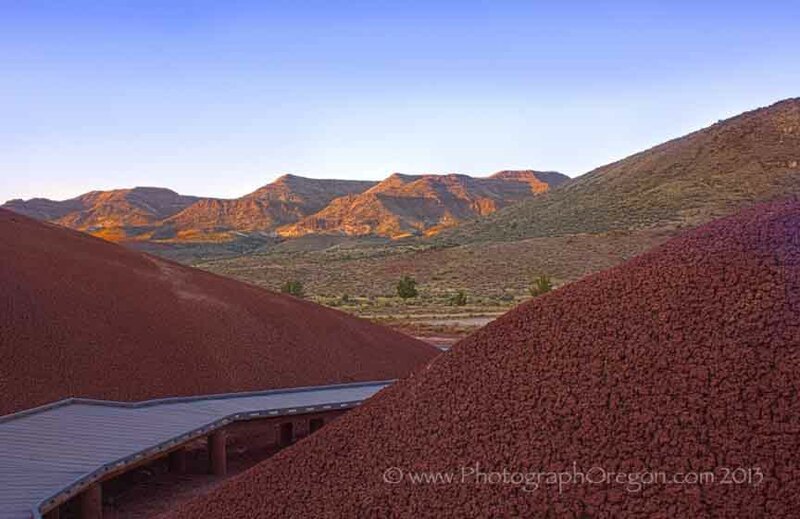 There are some great picnic areas at the Painted Hills so just bring food and drink. 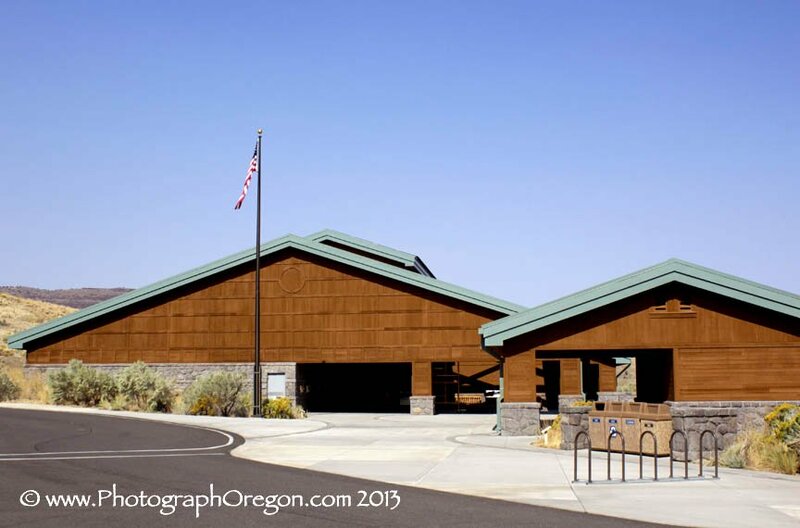 Make sure you fill up in one of the larger towns like Prineville as there is NO gas anywhere around the Painted Hills. It is easiest if you just print off this nice MAP provided by the government with directions to all three units including the Painted Hills and Blue Basin. It is very nice and clearly shows the directions to the three units.